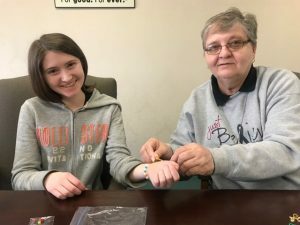 Delight Hill, with Just Believe, stopped by to discuss her work with sun safety programs in the community and to make ultraviolet detecting bead bracelets. 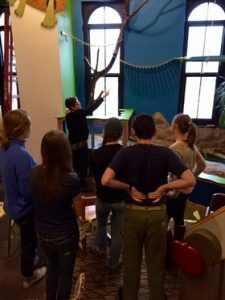 Robogators, the after school robotics program had an in-office demo for YAC of their current project. 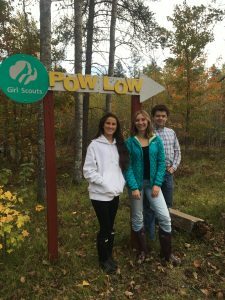 YAC Members visited Camp Pow-Low. 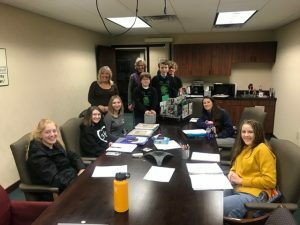 In 2018 the committee helped fund the Girl Scout Outdoor Experience for new tent platforms. 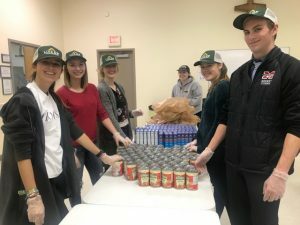 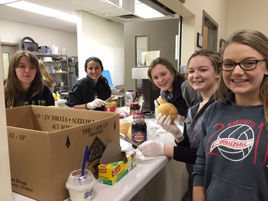 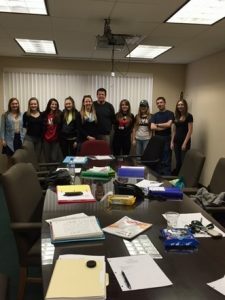 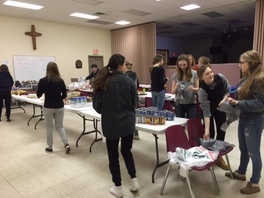 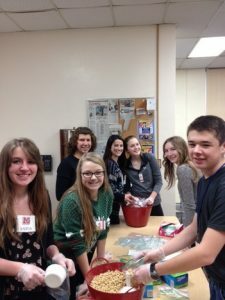 Packing Catpacks: an organization that supplies food to children who are facing food insecurities over weekends and holidays during the school year.